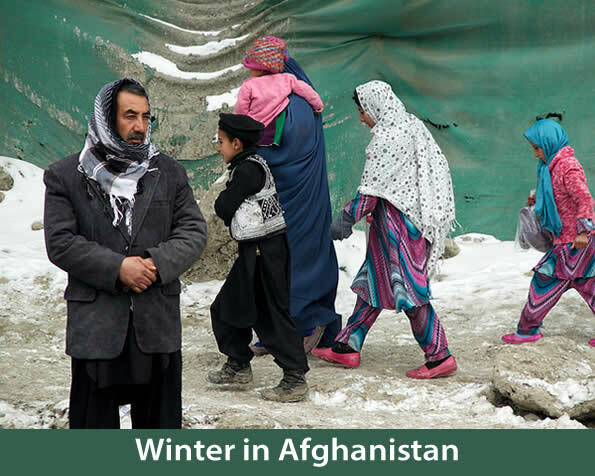 It is winter here in Afghanistan. The mountains are filled with snow and entirely white. Most of the places in my motherland are also white from the snow, but the color of my motherland’s heart is black now. It is full of sorrow. Who knows how it feels for a mother, when her children die in her arms and she can do nothing. Winter should be pure as the white snow. But this winter the snow is colored red with blood. I don’t know about everyone else, but I am tired. Tired of all the tragedies in my country and the world. Not a day passes when I do not hear about war. Every day the news, radio, TV, Facebook, and the rest of social media are full of news of war, fighting, injuries, and killings. Just days ago I heard about Reza Gul, the young woman in Farayab province whose nose was cut off by her husband. Why? Does anyone know why her husband did this? What was her sin? Even if she was a sinner, why would anyone do this. I was thinking about this when I heard about the next tragedy, an explosion killing seven employees of TOLO TV on January 20. Many others were injured. Next it was about how the Taliban kidnapped several people traveling from Kabul to Bamiyan province. We do not know where they are, or if they are alive or dead. The Taliban are the most horrid people. Some days ago they beat a girl because she was talking on the phone. What can I do about all this pain and suffering? What should I think and feel? What does the future hold? I believe that life will go on, and one day, peace will come and there won’t be sadness. I believe good days will come. What else can I do? I have to hope.